In order for you to obtain a work visa to work in Qatar or the United Arab Emirates (UAE) you will need to have your professional educational certifications such as degree, diploma or professional certificate authenticated and legalized here in Canada. This process is also called Attestation in Qatar or the UAE but means the same. In addition for your family to join you in country they must also have their Birth Certificate, Marriage Certificate and Report cards authenticated and legalized to appy for a visa. In order for your document to be authenticated it must be presented to Foreign Affairs here in Ottawa. Although they normally take between 15-25 business days to process requests we can shorten this to as quick as 1 day. Once presented for authentication it must qualify for the process, which can be confusing if processing several different types of documents. With 20 years of experience of assisting people with their work visa applications our expertise and service guarantee will provide you peace of mind. Foreign Affairs has stopped assisting clients with return shipping but our assistance provides you with National and International shipping solutions to get you to work faster! 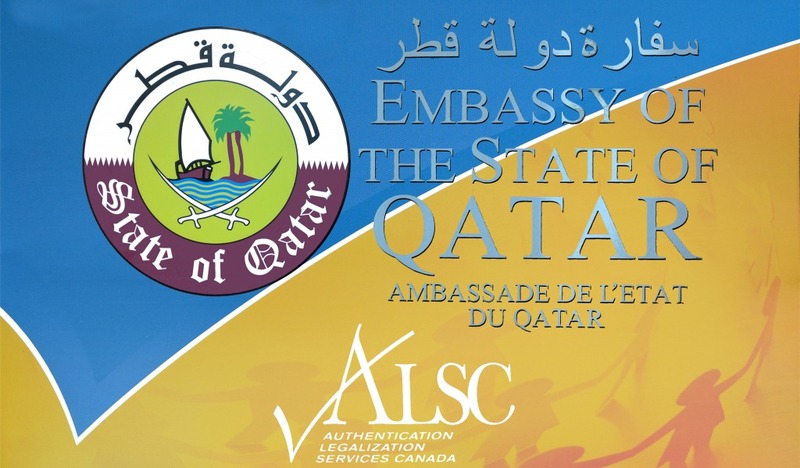 After we have met with Foreign Affairs on your behalf, having authenticated your documents, we are now ready to attend for legalization at the Embassy of Qatar or UAE Embassy; both located here in Ottawa, Canada. Having the most qualified agents in the industry provides you the experience you need when dealing with your important international affairs. Depending on the embassy, as they each have different processing times, we would attend again at the embassy for review and confirmation that document has been legalized in accordance with the rules. 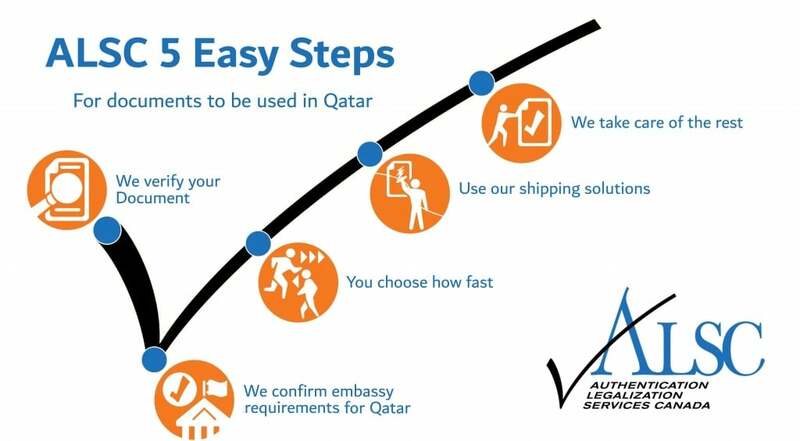 Once your documents have been authenticated and legalized they are now ready to be used to secure your work visa in Qatar or UAE. If you need Attestation or Authentication for your Canadian document for use in Qatar or the United Arab Emirates UAE we can help contact Authentication Legalization Services Canada.